Facility rental services are managed by our business arm, Welkin Events. Training rooms of different sizes are available at our two training locations in Central and Mongkok. Both locations are conveniently accessible by public transport. All rooms are fully equipped with advanced workstations, broadband Internet access, Wi-Fi and multimedia audiovisual setup. Room capacities range from 8 to 60 workstations. Total capacity of our two locations exceed 300 workstations. Our facilities are conveniently located in Central and Mongkok and easily accessible by public transport. 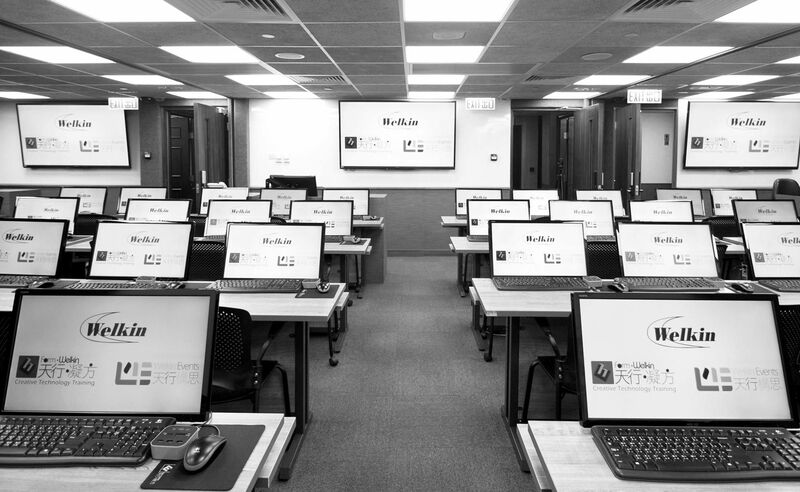 Both PC Windows and Mac iOS training rooms are available to cater for different training needs. We have a network of worldwide partners to deliver quality facility rental and training solutions overseas. Welkin Events, a subsidiary of Welkin Systems Limited, is dedicated to providing professional room rental solutions to meet the needs of corporations and organizations in and outside Hong Kong. Contact us to find out more about our facility rental services. Our standard offers can always be customized to suit your specific needs. Click the box on the right to leave your message, or give us a call directly at (852) 3605-3322 to let us know your needs.